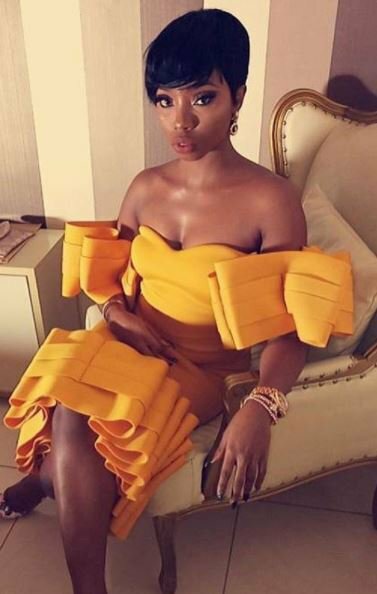 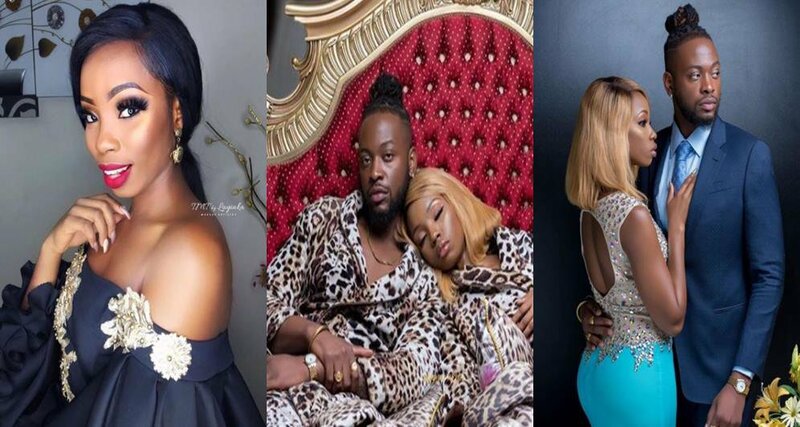 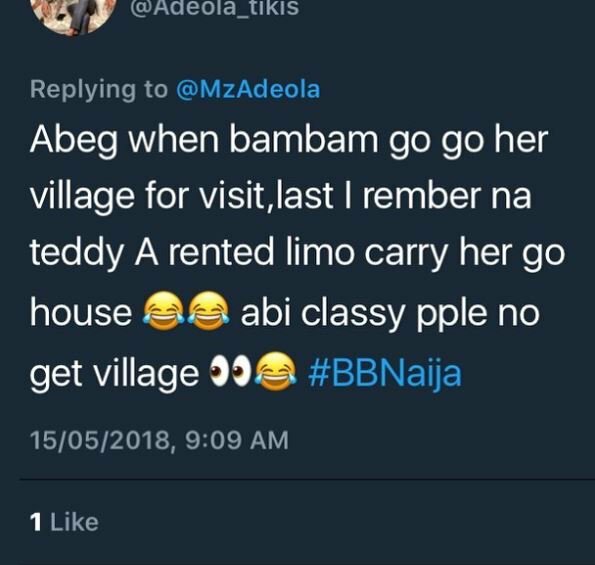 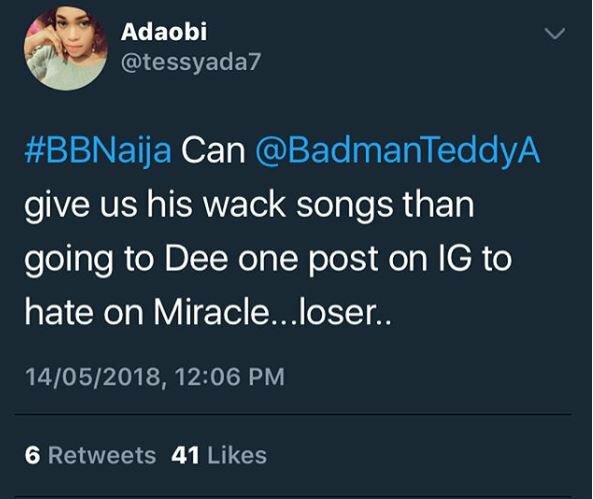 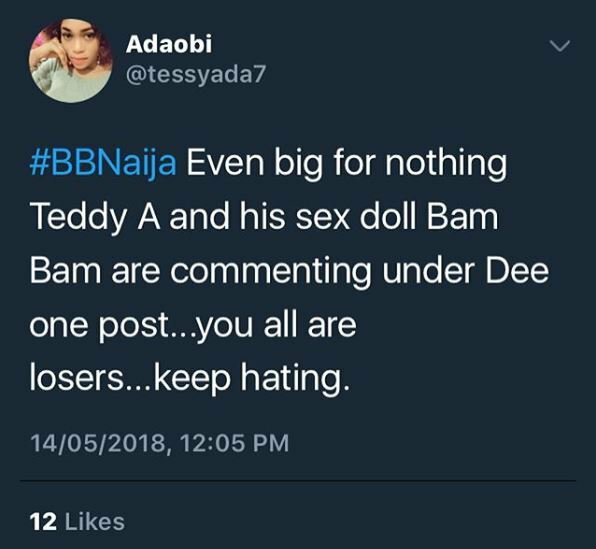 One Adaobi who is a fan of Miracle Igbokwe, the winner of the Big Brother Naija reality show 2018 has taken romantic couple, Teddy A and BamBam to the cleaners on Twitter. 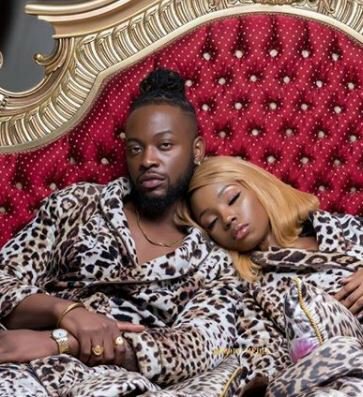 According to her, the duo has failed to make something meaningful out of their relationship since their exit from the show in South Africa. 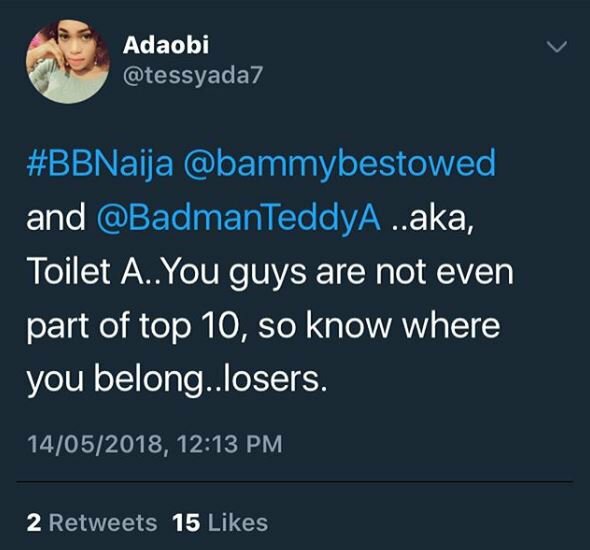 The Twitter user in a number of tweets made reference to their toilet romance and also mocked Teddy A’s music and modeling dream. 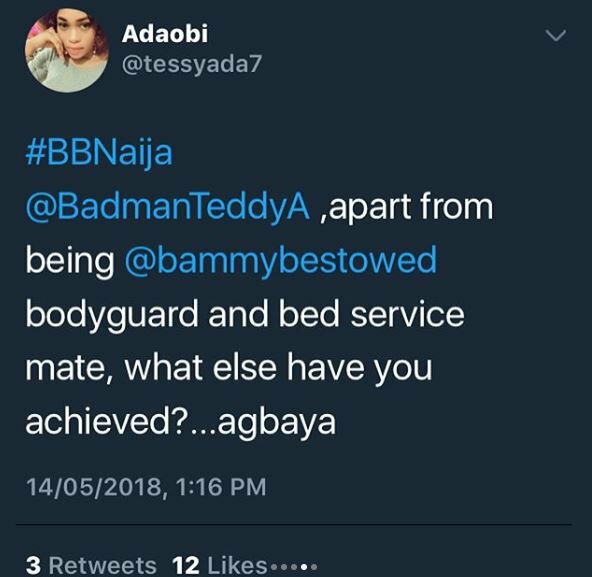 In recent times, some Nigerians have divided their loyalties among several ex-housemates thereby ending up in the drama generated during the 85-day reality show.